Explore at least two other infographics on the SAME topic you chose. Explore at least two other infographics on a topic DIFFERENT than your own. 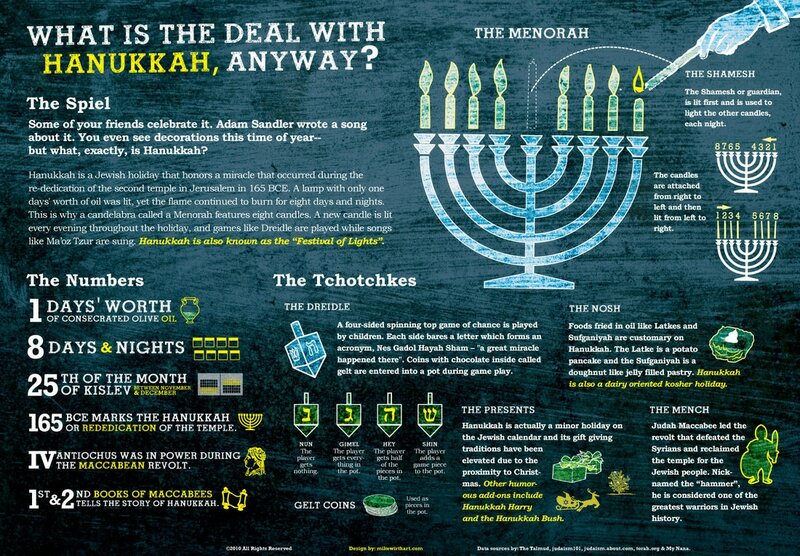 Below is a sample INFOGRAPHIC on Hanukkah (it's not perfect, but it gets the idea across).